For car-buffs around the globe, Brembo brakes bring a subtle, signature styling element to high-performing vehicles via a brightly-colored brake caliper peeking from behind the wheels with the Brembo logo proudly displayed. Brembo brakes are easily spotted, and they provide a strong signal of the performance capabilities of the vehicle they’re fitted to. 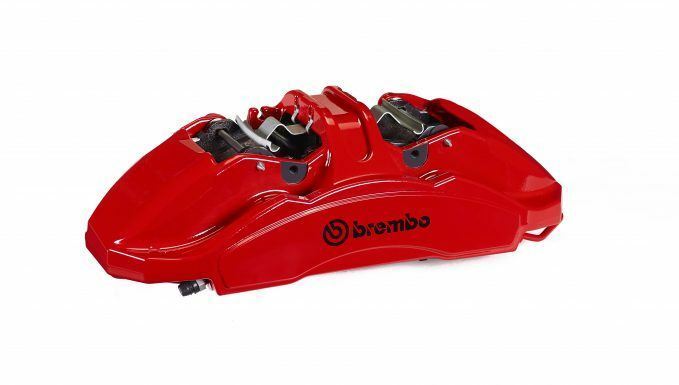 After all, Brembo has been a world leader in high-performance braking systems for decades. Though commonly associated with some of the world’s fastest cars, including the Dodge Viper, Porsche 918 Spyder, Ferrari F12 and Koenigsegg Agera GT, Brembo also develops braking systems for motorsports use, in both cars and bikes. Today, the Italian company has over 10,000 employees around the globe that are focused on delivering a wider range of high-quality products than ever before. Among these products is an assortment of consumer-focused braking system parts that give drivers the option of replacing factory equipment components with high-quality Brembo units when it’s time to service their brakes. Using expertise developed over decades of manufacturing braking components for the world’s fastest street-legal and race cars, Brembo’s line of Original Equipment (OE) replacement products include brake pads, rotors, shoes, drums, and fluids. Each of these is designed to be a perfect replacement alternative to a vehicle’s original braking part. Most mainstream vehicles leave the factory with systems designed to meet a price-point and little else. But Brembo OE replacement parts are created using best practices from all around the world — which includes capitalizing on a high level of technology and having world-leading production and quality control processes — to offer a wide range of units that cover over 95 percent of vehicles on the road. Best of all, signature Brembo technologies are offered throughout the OE replacement parts range. For instance, a special UV coating on Brembo brake rotors helps resist unsightly corrosion and maintain the appearance of this highly-visible part. Further, Brembo’s PVT (Pillar Venting Technology) and PVT Plus ventilation systems are featured in some OE replacement brake rotors. With this ventilation system, shoppers benefit from a unique and exclusive pillar-based arrangement of air channels cast through the center of the brake rotors. The design of the PVT ventilation system has its roots in the world of motorsports and vastly improves cooling capacity for a major reduction in heat-based component fatigue. Resistance to thermal cracks, which commonly ruin low-quality brake rotors in quick order, is bumped by more than 40 percent. The PVT ventilation system also results in a rotor with more uniform strength, helping to prolong the life of the part. The PVT Plus ventilation system adds unique ventilation vane layouts for each specific type of rotor and other enhancements. It’s precise engineering, designed to help optimize braking system performance, durability and lifespan for any driver. But brake rotors are only part of the story when it’s time to stop and teaming a high-quality set of Brembo brake rotors up with a high-quality set of Brembo brake pads creates a synergistic advantage for the driver. With brake pads and rotors specially calibrated to work in sync, maximum stopping power, consistency and durability are ensured. Like all Brembo brake parts, Brembo OE replacement pads utilize advanced design and technology, along with impeccable quality control. Clever design touches abound throughout Brembo OE replacement brake pads. 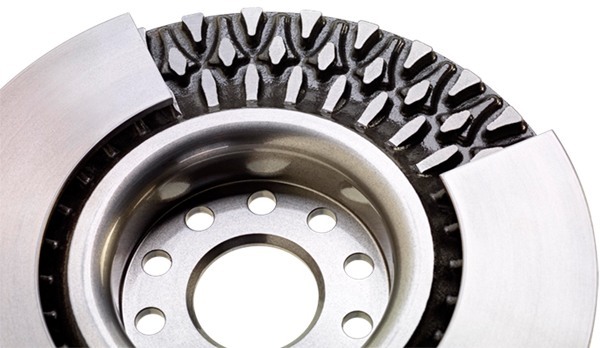 For instance, the pad surface is heat treated for consistent performance in all driving conditions, and a unique thermal heat-insulation pad is applied to reduce the amount of damaging heat transmitted between the brake pad and the vehicle’s calipers, brake pistons and fluid. Pair a set of Brembo rotors with a set of Brembo brake pads, and you’ve got a top-line braking partnership that’s designed to last, perform and even reduce strain and wear on other parts of the braking system. Brembo also offers a full selection of quality-engineered OE equivalent brake components and a variety of high-performing aftermarket brake rotor options for enthusiast drivers. In any case, making the switch to Brembo OE replacement parts gives drivers access to more consistent, potent and durable stopping power, with expert design and construction ensuring worry-free braking and added safety for years to come. 0 responses to Does Brembo Make Regular Brakes?